First Listen: The Avett Brothers, 'The Carpenter' The Carpenter dispenses hook-filled anthems amid introspective looks at mortality and devotion. As always, the Avetts' music aims for something bigger than itself, and damned if it doesn't find it. 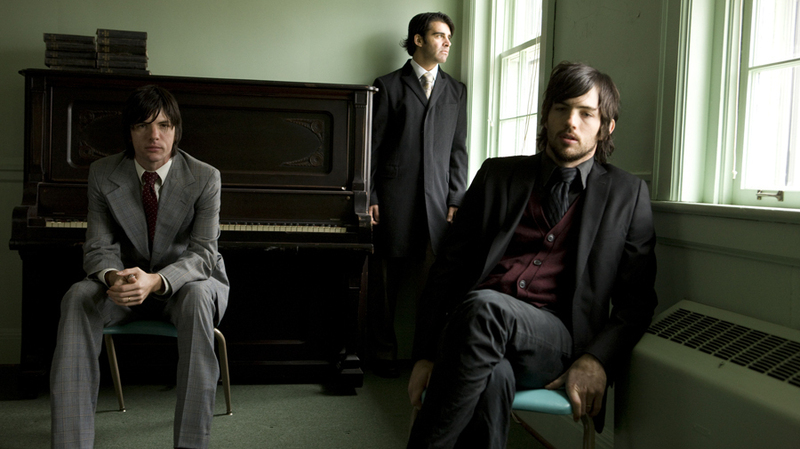 The Avett Brothers' new album, The Carpenter, will be released on Sept. 11. The Avett Brothers' style of alternately frenetic and swoony, frequently bluegrass-infused folk-rock has penetrated the public consciousness to the point where Seth and Scott Avett appear to be on the brink of superstardom. Peers such as Mumford & Sons and The Lumineers have already broken through in a big way, and neither band packs the Avetts' knack for wrapping catchy music around a poignant center. The North Carolina group's 2009 breakthrough, I and Love and You, was a crowd-pleaser in part because it speaks to universal truths; it reaches for more than mere infectiousness or agreeability, and finds what it was looking for. The Carpenter, out Sept. 11, continues on that journey, dispensing cheerily hook-filled anthems (the gorgeous single "Live and Die," the charming kiss-off jam "I Never Knew You") amid more introspective looks at mortality, devotion and a desire to "live the life I'm given" (to borrow a few words from the album-opening ballad "The Once and Future Carpenter"). Informed in part by the struggles of bassist Bob Crawford, whose 2-year-old daughter is battling a brain tumor, The Carpenter carries serious thematic weight — fully half its songs address death in some way or another. But there's still an appealing sense of lightness to it, whether in the lilting "Down With the Shine," the churning rocker "Pretty Girl From Michigan" (the latest in a long line of The Avett Brothers' "Pretty Girl From [Place]" songs), and playfully stompy rave-ups like the 97-second "Geraldine." Like I and Love and You, The Carpenter was produced by Rick Rubin, who sands down some of the band's rough edges on the way to another lovely, painstakingly crafted collection of songs. But the accessibility never blocks out the big, beating heart at the center of The Carpenter. The Avetts' music aims for something bigger than itself, and damned if it doesn't find it.